Do you like reading true stories? Every time we have guests who come to stay with us, they tend to leave something or the other behind for us besides the presents they may have brought for us. I have loads of half used shampoo and hair conditioner bottles, some shower gels, bath towels, slippers, magazines and even story books. I leave all that stuff for the next guests who may need to use any of these items and I get to read all the magazines and books. 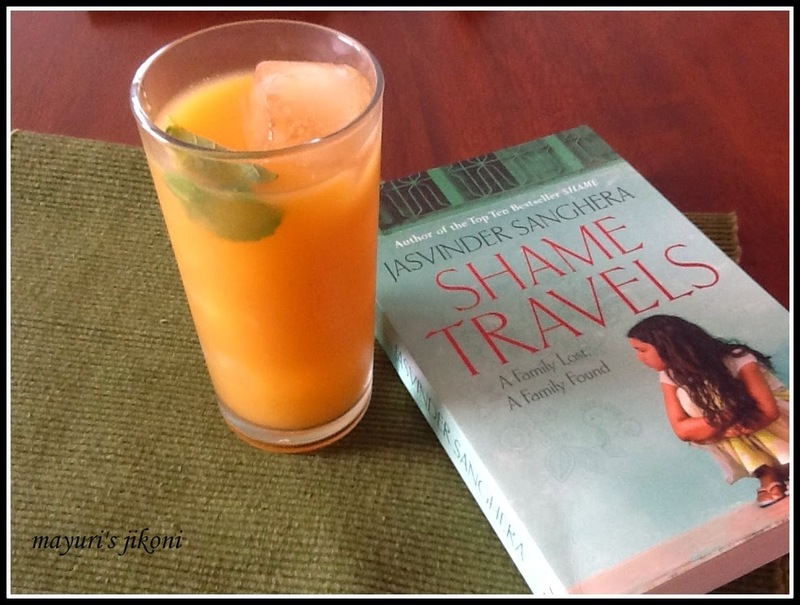 One such book left behind was Shame Travels by Jasvinder Sanghera. I am about to finish reading this book. I read it in spite of not having read her first two books, Shame and Daughters of Shame. All three are true stories. Waiting to get hold of the two I have not read but I just couldn’t resist reading her third book. Its all about how Jasvinder runs away from home at the age of 16 because her parents wanted to get her married off to a boy not of her choice. She gets married to someone of the lower caste and her family disowns her. The story is about her struggle to raise 3 children without family support and re – connecting with a part of her family in India. Her parents never took her back home to India as they were ashamed of her. She grew up feeling guilty that she was disobeying the laws of the Guru Granth Sahib by not marrying a boy of her parents choice and marrying someone of the lower caste. This is what her mother had instilled in her brains. However, a visit to India opens up the truth for her. No one in the village really cared that she married a boy from the lower caste, the Guru Granth Sahib does not mention anything about caste and class. How many time in our lives have we come across people misinterpreting the good Holy Books of the world. If one does not comprehend it fully, its best to seek help instead of misconstruing the truth. If you like true stories, read Shame Travels. Its an eye opener, captivating story about Asians in UK. Coming to my recipe for today, its a simple iced tea flavoured with passion fruit. It is difficult to find passion fruit in India, very expensive in the western world but available in abundance in Kenya. The subtle flavour of tea and passion fruit was a cooling treat for a hot humid day. Boil water in a pan. Take it off the heat. Add tea and mint leaves. Cover the pan and let the flavour and tea infuse into the liquid for 10 -15 minutes. In the meantime prepare the passion fruit juice concentrate. Cut the fruit into half and scoop out the pulp using a teaspoon. Put the pulp in the liquidizer and give it one or two short pulses. By doing this, the fruity pulp comes off the seeds. Strain the liquid using a sieve. You will be left with seeds and a bit of fibre.Discard the seeds. Add sugar to the passion fruit liquid and mix well. You should get about ½ cup of the juice concentrate. Strain the tea liquid. Add the orange and passion fruit juice to it. Leave it in the fridge to cool it. Serve with lots of ice cubes. Add more tea if you like a stronger taste of tea. Add lemongrass instead of mint. If you like passion fruit juice on its own, make the concentrate as above, add a pinch of salt and cold water. Adjust the amount of sugar according to your taste as passion fruit is sour. Looks like very nice book, love your passion fruit iced tea too. Love to have a sip. Thanks for sharing with favorite recipes event. Wow that is indeed a cool drink… Live it.. I can drink this drink anytime of the day, fantastic iced tea. Hello hello I like your blog and wanted to invite you to be part of a new directory of blogs http://www.recipebyday.com recipe just born and we would continue to grow, it is very simple just register your blog would have to appear and the links to your recipes to visit you. A greeting and thanks.